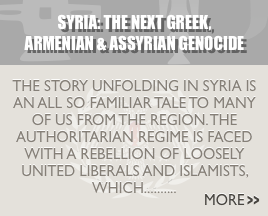 Since the fall of the Ottoman Caliphate, Lebanese-Rûm have found themselves in a very unique position. Inhabitants of an enlarged Mount Lebanon Governorate, which became known as the French Mandate of Lebanon. Lebanese-Rûm found themselves citizens of the only Christian safe haven in the Levant, as Lebanon was originally established as a homeland for Maronites. As a result, today they find themselves, theoretically, in a much better position due to Lebanon’s unique political system of confessionalism . A position, which guarantees political representation in the form of 22 seats inside the Lebanese parliament (14 awarded to Rûm Orthodox and 8 awarded to Rûm Catholics), as well as the position of Deputy Speaker of Parliament  . Unfortunately, Lebanese-Rûm have never consolidated this political gift, and instead waste their political presents supporting the political agendas of other Lebanese communities. Consequently, our community has become politically dormant and culturally indifferent. Those who reject Arabism are left to be enticed by Semiticentric Maronite ideologies such as Phoenicianism. With the rise of Antiochenism, many Phoenicianist-Rûm may have questions considering the ideological differences between the established ideological alternative and this new phenomenon. What are the ideological differences between the two? Are there similarities, or are they completely at odds with each other? Why should a Lebanese-Rûm reject this Phoenicianist ideal, which they have been indoctrinated with since birth? In order to compare Antiochenism and Phoenicianism, we must first identify just what Phoenicianism is, and stands for. Phoenicianism is a form of Maronite nationalism, which maintains that the all Lebanese people are direct descendants of the ancient Phoenicians. Phoenicianists reject Arab ethnicity, and believe that the people of Lebanon are a distinct homogenous nation, with a distinct language and culture separate from that of the surrounding Middle East. Like other alternatives to Arabism, its appeal is found amongst non-Muslim minorities, specifically Maronite-Christians. Although as a secular ideology, it is open to Muslim supporters. Today, proponents of Phoenicianism can be found amongst numerous political parties such as Kataeb Party  and the Guardians of the Cedars, as well by such minor groups as the United Phoenician Party and the Phoenician Party. The major ideological difference between Antiochenism and Phoenicianism comes with their position on the origins and identity of the Lebanese people. Although both ideologies agree that modern-day Lebanese are descendants of the pre-Arab population, and that Arabization was merely a language shift not a demographic change of ethnicity. They differ completely on the make-up and cultural focal point of this pre-Arab identity. For Phoenicianists, the Lebanese people constitute their own ethnically homogeneous civilization descended from the ancient Phoenicians, and drawing exclusively from the land’s Semitic heritage. While Antiochenists, view the Lebanese people as ethnically heterogenous, just as the rest of the artificial nations of the Levant. A regional, not ethnic, identity that is a draws on both the Indo-European and Semitic heritage of the region. For Antiochenists, the ethnic make-up of Lebanon is a mix of indigenous ethnic Greeks and Greco-Canaanites (Phoenicians), which lived in harmony until the disastrous Arab invasion and occupation of the land. Furthermore, in Phoenicianism Lebanese-Rûm are considered ethnically different from other Levantine-Rûm. For the Antiochenist, this is blasphemy as the key tenet of Antiochenism is that all Levantine-Rûm are one unique ethnicity. For some time now Phoenicianists, have perpetrated a ridiculous myth that Haplgroup J2 is the “Phoenician” genetic marker. When in actuality J2 merely proves pre-Arab descent throughout the Levant. This is due to the fact that all the great seafaring Civilizations from the Bronze to Iron Ages were dominated by J2 males, such as the ancient Greeks, Minoans, Etruscans, and many others . Therefore, to call J2 exclusively “Phoenician” would be like calling everyone with blue eyes exclusively Polish. In fact, three holes in this Phoenicianist supported myth completely discredit it amongst academics. First, for J2 to be exclusively “Phoenician” the Hellenistic Age would have to have never happen, in order for their theory to hold merit . In other words, Phoenicia would have to have been free of Hellenic influence. Unfortunately, for Phoeniciansts this is untrue. Phoenicia fell under Hellenic influence after the conquest of Alexander the Great, and remained so continually until the Arab invasion. Second, Crete would have to have been a “Phoenician” colony . Genetic studies show that Crete has larger concentrations of J2 than Lebanon . However, history tells us that Crete never fell under Phoenician influence or colonization. While, the opposite is supported archaeologically, with known settlements in the Levant of Aegean peoples. Third, Eastern rather than Western Sicily would have to have been colonized by the Phoenicians . History tells us that both the ancient Greeks and Phoenicians settled on the island. In the East, numerous Greek city-states emerged, while in the West was home to numerous Phoenician settlements. 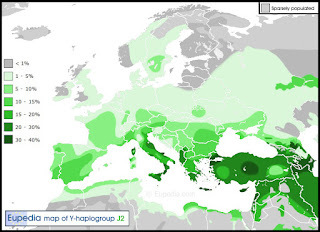 Unfortunately for Phoenicianists, genetic studies show us that J2 has its highest frequencies in Eastern Sicily, where the ancient Greeks settled, not in the Phoenician West . 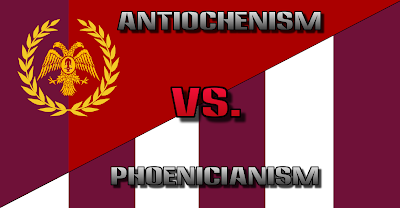 In closing, Phoenicianism and Antiochenism are polar opposites. One hand, is yet another Semiticentric ideology that is attempting to resurrect a lost culture, and downplays or completely dismisses the Hellenic heritage and legacy of the region. On the other is an ideology, which embraces the complexed and multi-ethnic make up the land. While emphasizing the indigenous Rûm’s Hellenic origins and heritage. Antiochenism does not view Phoenicianism in the same manner as Arabism. It accepts it as an appropriate alternative for Maronite and Muslim Lebanese, which wish to reconnect with their ancestral origins. 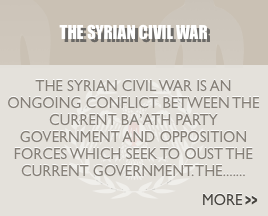 However, it does not accept it as a logical alternative for Levantine-Rûm.